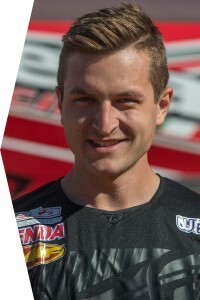 •	#42A, Mike Witkowski finished in 4th place at round 1 of the National Enduro Series, his career best for the NEPG. •	Cody Barnes rode his Beta 250 RR Race Edition to a 5th place finish in the Pro 2 Class. •	Rachel Gutish finished in 4th place in the Women's Elite Class. "My Beta 300-RR handled flawlessly across the rough and technical South Carolina terrain. I was able to get a career best finish and test time among some fast company! The best part was I never felt like I was out of my comfort zone as the Beta Factory Suspension helped soak up all the sand whoops." "I got off to a good start to the day after the first test I was sitting close to the top 3. As I went out into the second test, I caught a tree root and had a pretty good get off into a tree. Luckily I was able to rebound and not loose to much time, but it still hurt my result for that test. After that test I went back to the pits and my factory mechanic; Sam was able to fix some of the things I tweaked in the wreck. In the final 3 test of the day I was feeling very good and was able to have 2 tests score in the top 10 overall, and I even won the last test of the day in the Pro 2 class. Even after some setbacks I was able to finish in 5th. I'm happy with my results as this was my second ever Enduro, and I'm looking forward to the rest of the year!" "Round one of the NEPG series did not go according to plan. A nasty get-off in test two resulted in a concussion and left me seeing stars for a couple of miles. Not wanting to risk a second blow to the head in such a short amount of time, I backed it down a bit to make sure I stayed safe - it's a long season and I definitely didn't want to risk too much at the first race. I salvaged a fourth place finish and some points though, so things turned out about as well as could be expected under the circumstances"
Older PostRay Newton Photos of Sumter National Enduro.